MEXICO CITY – Fans who turn out for the legendary Mexican rock/hip hop band Café Tacvba’s Niu Güeis tour can expect to see the kind of passionate, freewheeling performance that has made the quartet one of the most popular Latin artists of the past 25 years. Touring in support of their eighth studio album Jei Beibi, the group is as fiery as ever, moving effortlessly through different musical genres, and infusing each with their own unmistakable brand of verve and style. 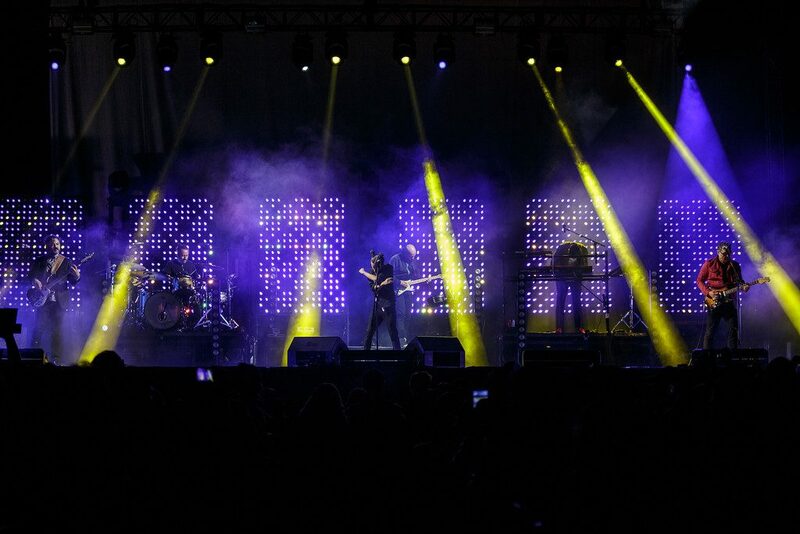 The colorful, scenic-rich stage show that fans have long expected from Café Tacvba is also very much in evidence on the Niu Güeis tour, thanks in no small part to an immersive, richly colored lightshow designed by Félix Peralta with help from a collection of CHAUVET Professional fixtures. Peralta is using 72 Nexus Aq 5X5 panels, supplied by Meridian Pro Audio, in his design for the tour. Configured in six large vertically-oriented rectangles that run across the upstage deck, the panels provide a stunning background for the band. 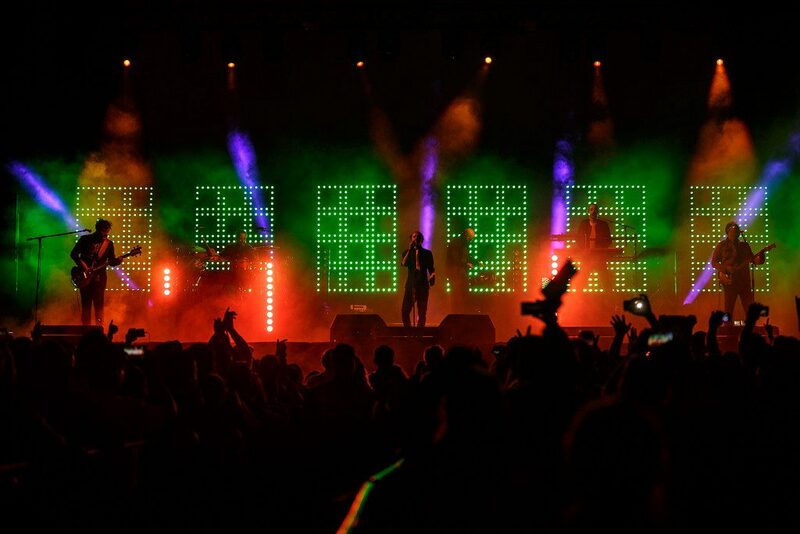 Pixel mapped, they display varying geometric patterns throughout the concert, reflecting the changing moods of the music, and adding an evocative scenic element to the stage. 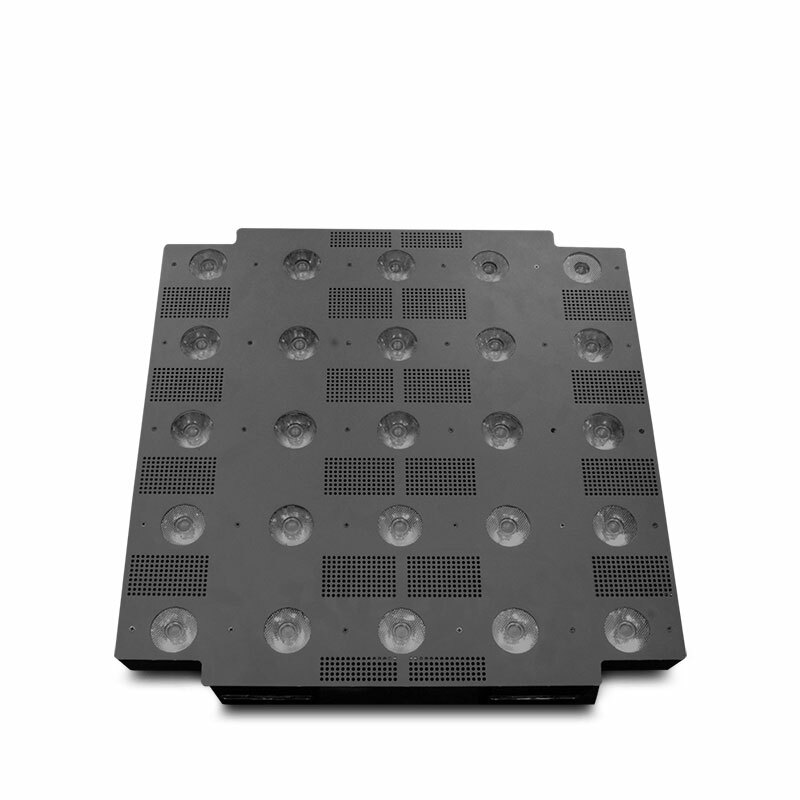 The intense output of the panels allows them to stand up to the beams of light that Peralta projected around them at various points during the show. Peralta also changes colors on the RGBW panels to contrast them to different washes. The resultant layered colored effect adds an alluring scenic quality to his design. Thanks to the easy-to-install design of the Nexus Aq 5X5, each rectangular screen was assembled quickly and easily. 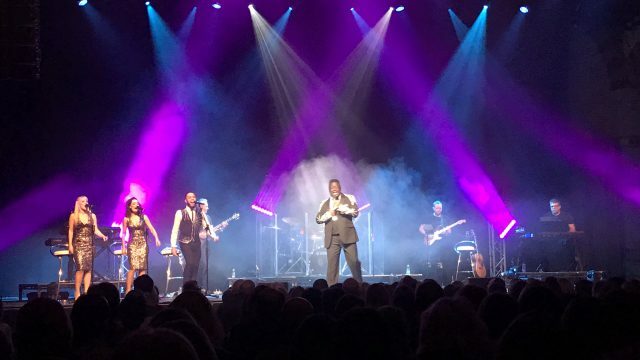 “I had previously worked with CHAUVET Professional fixtures. 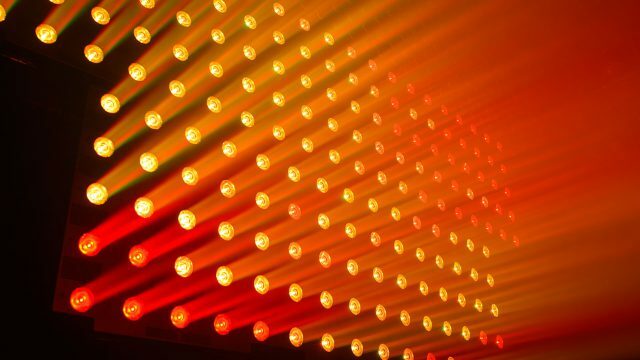 I liked these panels because of the intensity of brightness of all the colors, as well as the shapes and dynamics that are available to create different effects with the same luminaire,” said Peralta. Germán Sevillano, director of Meridian Pro Audio, notes that his company acquired the 72 Nexus Aq 5X5 units expressly for the Café Tacvba tour, which last year in the US before moving to Mexico. He’s confident that the panels will have an impact on future Mexican tours. Meanwhile, in the hands of a skilled designer, they are visually enriching the shows of one of Mexico’s most enduring bands.